Scrapbooking Classes will resume in 2018! Stay tuned for the exact date! 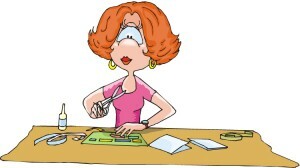 The Van Buren Public Library is offering a FREE 3-session scrapbooking course taught by Annette “Annie” Lucas. This course is perfect for those that have never scrapbooked before and would like to start, or for those that are well versed in scrapbooking, but would like to get more tips and ideas. The day and time will be announced later to accommodate everyone’s availability. To sign up, please come to the library. Ages 15 and Up are welcome to take this class. ANNIE WILL FURNISH THE SUPPLIES! The first class will consist of scrapbook basics and a hands-on opportunity to start making your first page or two. Twenty minutes of discussion and viewing materials will start the class, and the remainder of the time will be for working on your pages. For more information or to participate in this program, please call the Van Buren Public Library @ 934-2171.